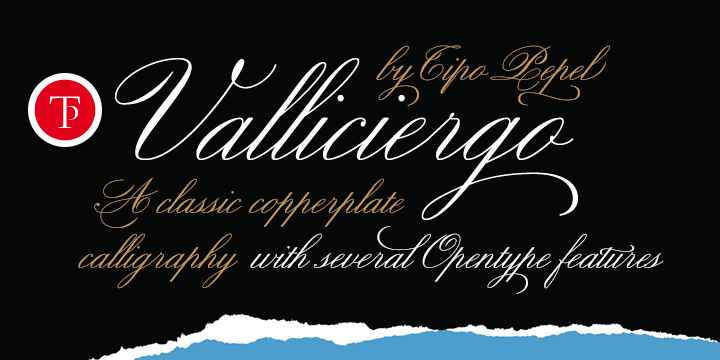 Valliciergo is real example on cursive writing fonts. It is so smooth, so elegant which gives an exquisite look to the page. Though this font was inspired from the booklet of “Caligrafía inglesa” by Vicente Fernández Valliciergo in late 19th century in the capital city of Spain, but Josep Patau has added hundreds of new glyphs using OpenType concept to make it a class in its division. Credit should also be given to English Calligrapher George Bickham whose collection “The universal penman” has inspired many forms and ligatures on this Font Family.